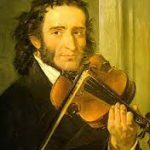 Niccolò Paganini (Genova, 27 October 1782 – Nice 27 May 1840) was a violinist par excellence. His natural gifts and innovative technique made him a true celebrity in his day. He was first taught by his father who then sent him to study with G. Servetto, a local violinist, then with the famous G. Costa, and then with Alessandro Rolla and Gaspare Ghiretti in Parma. At the beginning of the 1800s Paganini went to Tuscany where he stayed for around ten years at the court of the Grand Duchess Elisa Baciocchi to whom he dedicated the Sonata “Love Scene” for the two-stringed violin. success. In 1828 he began his tour of Europe where he impressed audiences with 400 concerts in many cities including Vienna, Berlin, Warsaw, Paris, Dublin and London, becoming a very rich man. 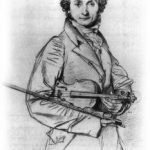 In September 1834 Paganini returned to Italy after six years absence. 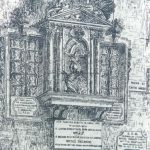 After a stay in Parma, ruled by Maria Luigia who entrusted him with the Direction of the Ducal Orchestra, in 1839 Paganini moved to Marseilles and from there to Nice where he died on May 27, 1840.